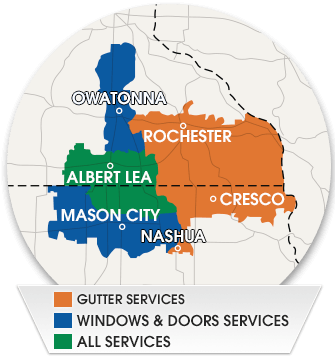 Home Solutions Midwest offers a variety of stress-free financing options that make it easy for you to upgrade your home with new gutters, windows, doors or siding when the time is right for you. After all, a failing gutter system can lead to serious problems like a wet basement, foundation damage, ice dams and landscape damage. Taking steps now to avoid these issues lets you protect the investment in your home without tapping into equity, savings or emergency funds. Our financing program is simple and straightforward. After scheduling a Free Estimate, you’ll meet with one of our specialists who can provide a detailed estimate as well as outline financing options. Our specialists can explain the pros and cons of different funding options and help you decide what type of financing meets your needs and budget.